As the number of people riding bikes in cities increases, so does the difficulty of finding adequate space to store those bicycles. As a result, bicycles are often stored outside on the street and are vulnerable to harsh weather and thieves. That’s why designers Rob De Schutter and Patrick Jacquet developed FlipCrown, a product that can be retrofitted to most bicycles to allow handlebars to be turned or flipped 90° for easy storage. 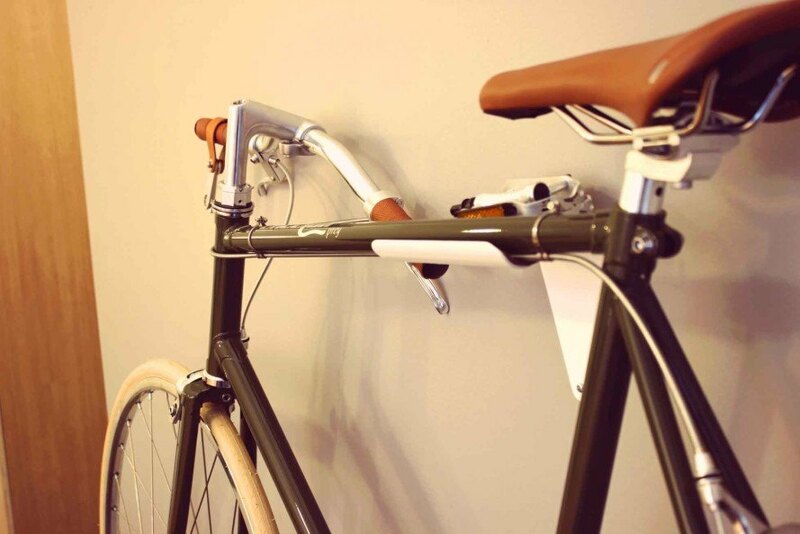 When combined with FlipCrown’s chrome quick-release pedals and custom bicycle shelf, a bicycle can even be mounted on the wall like a piece of art. Interested in flat-packing your bicycled for easy storage? Head over to the FlipCrown Indiegogo page to support them and to place an early-bird order.